Picked out loudest shoes he could to protest middle school uniform! dearly, but let’s face it, no kid wants to spend all of their time with their parents. 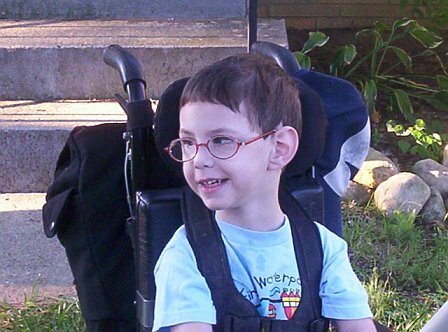 Even though he had severe physical limitations, his mind was sharp and he knew that school was a place where he could be with friends, learn how to improve his abilities, and use cool tools that he may not have access to at home. Pheonix loved his independence and some days it was a struggle to let him have it. When he would see me come into the school, I would immediately get the “don’t embarrass me” glare. I may have smooched him in front of his classmates a time or two. Actually, I did that ALL the time! To the point, that the teachers would jokingly try to shew me out of the classroom before I could love all over Pheonix. He would sit with his friends and laugh at the teacher’s efforts and my attempts to check in on him. 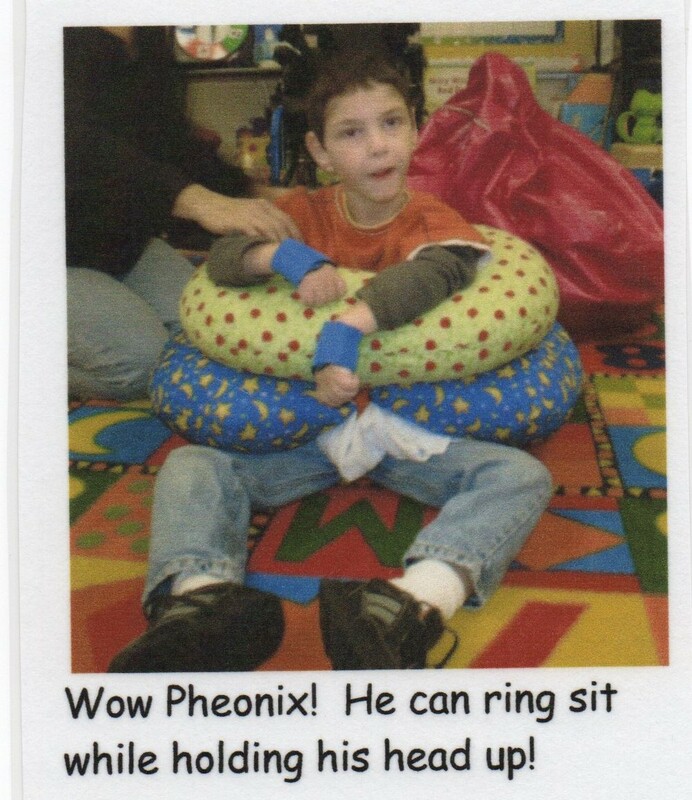 It is an accurate statement that when Pheonix started school, I did not know what kids like him did in a classroom. Turns out they do the same things all other kids do. How is that possible? Why did he love being at school so much? The answer is very simple…his teachers! Nobody worked harder to help Pheonix find “his way” of doing things than the teachers and therapists that worked with him from K-7th grade. 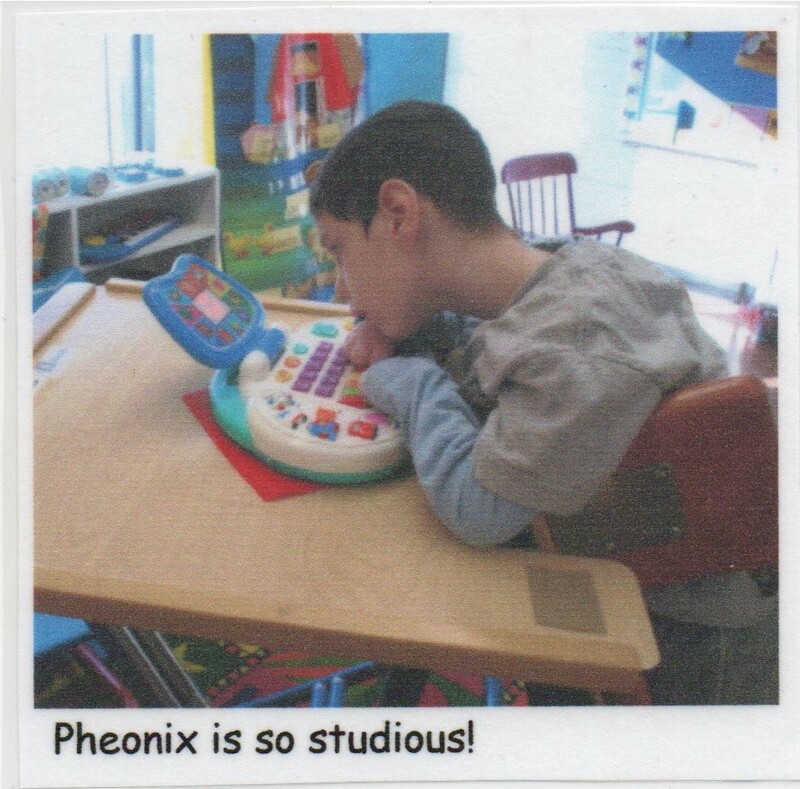 One day the teacher sent home a picture of Pheonix. It was a plastic tub with two big eyes and full brown hair sticking out of the top! I couldn’t help but laugh. Why was my kid in a bucket? 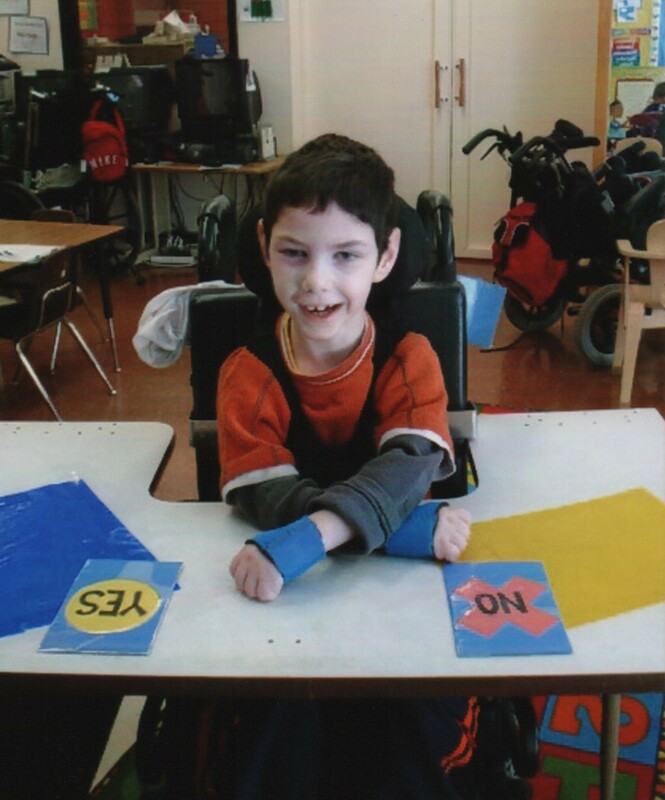 The next time I went into the school, I peeked into his classroom and saw him cross-legged, smiling the biggest smile, sitting up nice and tall while vocalizing his turn in circle time. The tub was just the right shape and size to help him support his core so he could hold his head up to participate in class. It was genius and he loved it! 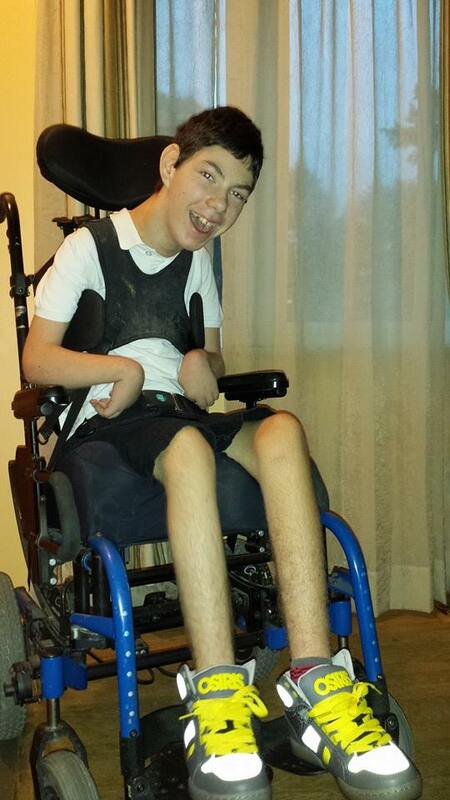 He was never a big fan of sitting in a wheelchair. He preferred the papasan chair or the boppy pillows. The teachers were always searching for that carrot that would motivate him or an adapted way for him to participate. 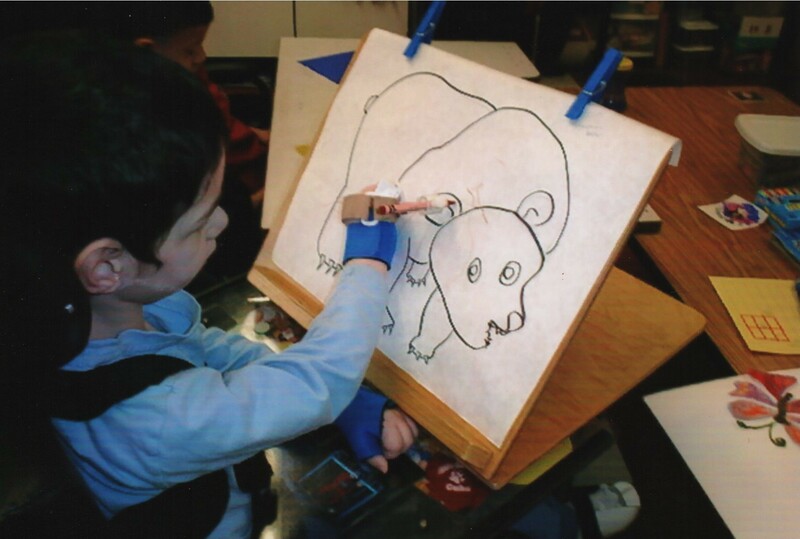 The classroom was individualized for the students. 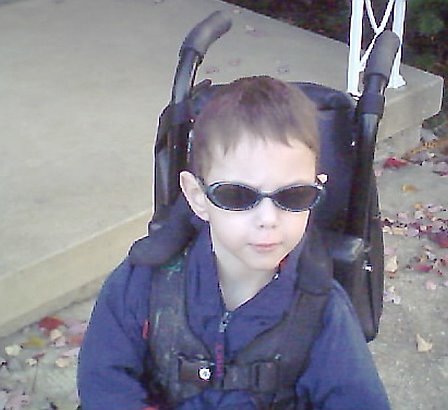 In that time, he learned to use so many adaptive tools and participate in what is considered normal social interactions. I worked with children in an afterschool environment for 9 years, and I could not imagine how difficult it would be to create a classroom tailor-made to every child’s individual ability and interests. Not only that, but to help them grow and succeed! 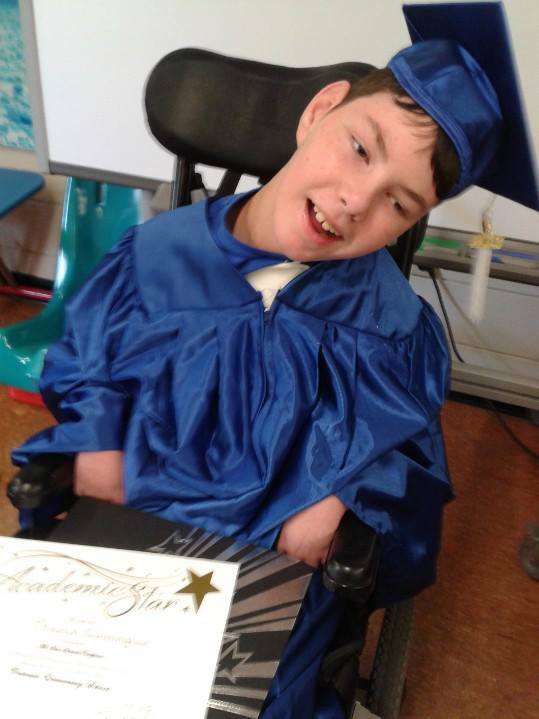 Pheonix loved school because it was the place he felt the most able. I was constantly amazed reading the reports of what he would do during the school hours. I will admit that in the beginning, I was even somewhat skeptical. I was never so glad to be so seriously mistaken. I was invited to observe him one day. Behind a mirror of course because he didn’t like me hanging around the classroom. I watched him use scissors that he could manipulate with his closed fist, participate in reading a story to his classmates by activating switches, and count and respond to math using a switch. I was amazed! 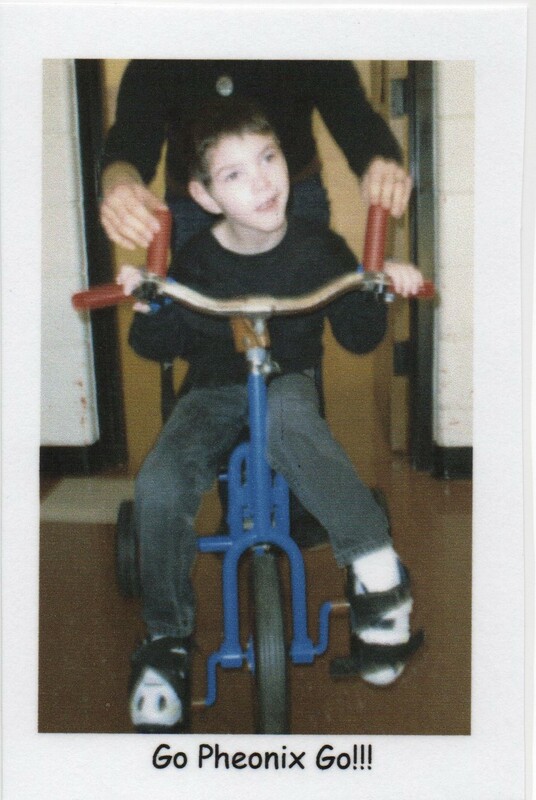 He was rewarded with doing a great job by racing down the hallways on a scooter board, listening to his favorite music, or getting to use the computer. Man did he love computers! For as much knowledge as I have, I would have never been able to teach Pheonix how to do those things or give him those opportunities. I was able to support his teachers by feeding those interests at home, but I would never have known how to introduce them in a way that he would understand or be successful with. No child learns the same and children like Pheonix need even more. I am endlessly thankful to all of the teachers, therapists, and aides that work with differently-abled children because without them, they would not have the opportunity to learn, grow, and experience independence. It honestly takes something truly special to give and care so much. It is not a task that many could handle, but makes such an incredible difference in the lives of so many children who need more. I know why Pheonix was disappointed when there was a snow day. 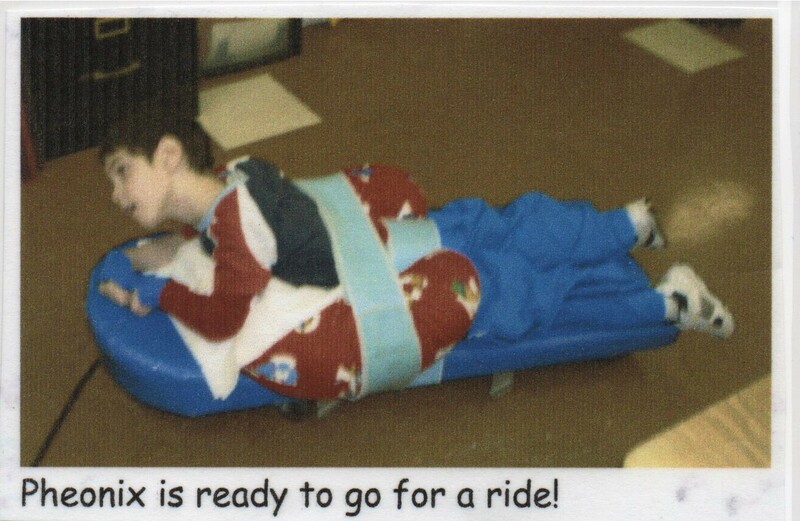 He loved to be at school! He was just a regular kid there, spending time with his friends, and learning something new every day. Thank you to all of the Special Education teachers and therapists for the work you do. It is truly a gift to parents and children. Your students would not be so able without you.